I love the sweet simplicity of a single gemstone necklace. This is a single faceted heart-cut blue lapis lazuli stone on a delicate-looking (but surprisingly strong) sterling silver rollo chain. The lapis lazuli is a natural stone in a vibrant cobalt blue color with a bit of white calcite and gold-colored pyrite flecks. The stone measures about 8x10mm (please note this is pretty small). I have wire-wrapped the gemstone as a pendant, so it can slide readily along the chain. Please choose your preferred necklace length when you check out (16, 18, or 20 inches). 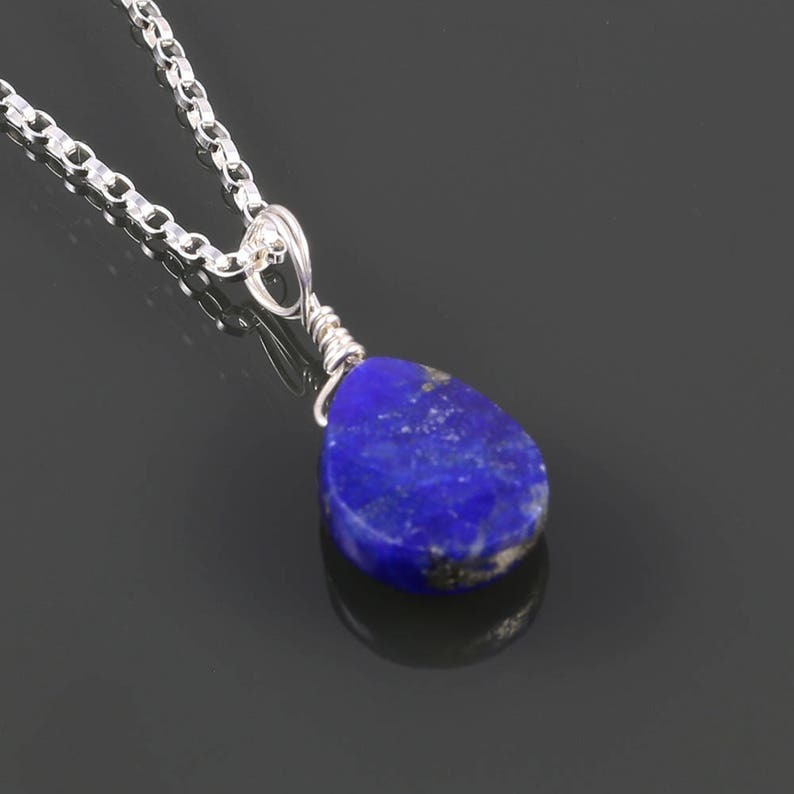 Lapis lazuli is one of September's birthstones, making this necklace a lovely September birthday gift. Genuine Aquamarine Earrings. Titanium Ear Wires. March Birthstone. Small Drop Earrings.